Poker being one of the most favourite games to play with real money is also widely played on mobile apps. Playing poker on mobile devices provides players exceptional flexibility of being able to play on the go. These apps make things easy as a player is no longer bound to sit in front of the laptop to enjoy the game. Players can even go road tripping, shopping or on their daily businesses while playing on the app. Let us take a look at a few best apps in the game. This gaming app/website it has almost 10 times the traffic than any other apps in the business. This app is backed by Bodog gaming which is one of the biggest online gaming companies in the world. This app is relatively new still has heavy traffic. They have amazing mobile poker apps. Play any time of the day as you please. The app has fast cash out, good reputation in respect of fairness, the interface is very user-friendly and lots of tournaments with good pool prize. Weekly prize money goes to 1.5 million which is very good for poker apps with real money. App for 888poker can be installed only via a website as its unavailable on app stores. The functioning of the app is crispy and smooth providing users with a good experience altogether. This app provides a sign in bonuses along with promo codes to benefit the players therein. 888poker has over 10 million registered members worldwide the app is becoming a favourite among online poker players. The app having the largest variety of cash games online tournaments online also has a reputation for a new player signing up every 12 seconds. Pokerstars is the biggest name in the business. Its app for playing with real money has to be downloaded from the website. The app offers 15000 free chips every 4 hours, which is very good for poker lovers. due to its wide variety of poker games, poker stars have a good fan following. The app has a very easy to switch table while multi-table play(up to 4 tables). Poker stars have done a fantastic job capturing all of the critical features of PokerStars on the computer. The PokerStars app has kept the same look and feel of the site on the app making it nice and easy for PC to app switch for a player. Zynga poker is one of the most popular among poker gaming apps with real money. Its key features involve VIP programs, exclusive chip package offering, and special game modes. The app offers a hefty $60,000 chips just for downloading attracting good traffic. It gives a daily bonus and up to $45,000,000 in-game money! The gameplay is very crisp and easy to use controls along with fair gameplay. 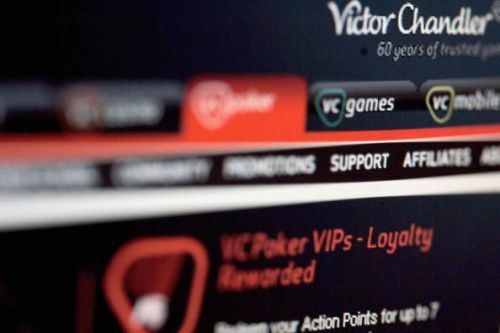 Party Poker is the third biggest online poker website in the world. The app for your phone can be downloaded straight from the website. The app runs irrespective of location. Someone who doesn’t mind the long tournaments would love this app. This is one of the leading poker app run by a highly experienced gambling company. App also has a play for free option. it is super easy to navigate and has a user-friendly interface. Party Poker mobile accepts players from most countries plus has a very good standard of a certificate proving its safe and secure. The app accepts credit cards for quick and smooth depositing. Over the years the app has only gotten better and faster with few improvements. The app offers a 100% match of your first deposit $500 which is very generous. Along with other offers every new player gets a free ticket to few tournaments.